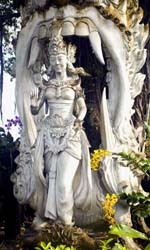 Vanilla exists because of love, the love story of Princess Xanat and her dashing yet mortal paramour. The young starry-eyed couple fled to the forest to defy her father’s wishes, his decree that they never should marry. They were soon captured by his henchmen and where they did fall, the vanilla orchid soon did grow. Vanilla originally sprouted only in Mexico, near the lands of the ancient Totonaco Indian tribe who created the myth to explain how such a magical plant could come to be. Only one type of small Mexican bee was able to successfully pollinate vanilla, further increasing its allure, its rarity, its mystery. Then man found a way to hand-pollinate and grow vanilla in other areas across the globe: Madagascar, Tahiti. Then man found a way to process the bean to retain its perfect purity while bringing the bean to you. That perfect purity comes in the form of raw vanilla bean powder, one of nature’s most supreme creations. Vanilla is indeed a natural masterpiece. The sweet and wholesome taste alone is enough to lure you to vanilla, and that’s just one of the most obvious raw vanilla bean powder benefits. Keep the vanilla non-GMO and raw, processed through grinding at low temperatures, and you retain the full scope of its natural goodness. Lineup of vitamins: Vanilla contains an array of B-complex vitamins, such as riboflavin, niacin, thiamin, panthothenic acid and B-6. The B-complex family is known for its beneficial effects on the nervous system, metabolism and enzyme synthesis. Multitude of minerals: Minerals in the superfood include magnesium, calcium, manganese, iron, potassium and zinc. Iron ensures your red blood cells thrive while potassium helps your heart rate and your blood pressure. Antioxidant properties: Vanilla’s copper and manganese create the enzyme known as superoxide dismutase, a notable antioxidant that helps neutralize free radicals and safeguard cells. 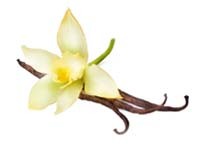 Beneficial compounds: Vanillin is the star chemical component in vanilla, and the sweet bean additionally contains traces of eugenol, phenol ether, caprioic acid, vitispiranes, acids and carbonyl compounds. Add a dash of vegan raw vanilla bean powder superfood to your smoothies, your pancakes, your custard. Mingle it with your coffee, your tea, your milk. Make French toast an experience instead of just a breakfast. Sprinkle your daily diet with vanilla’s love.